← May 25th 2017: 2nd Ariana Grande NWO Terror Attack Phoenix Ritual At O2 London? 44th City/Venue Of Dangerous Woman Tour! It is also no coincidence that the 2005 London terror attacks occurred on 7/7 (July 7th), in the city which represents the world financial center; being the gateway of international capital which flows from the sister city in New York, which mostly handles US domestic economic trades to account for its massive equity markets. In comparison to NYC, London handles far more important quantities of internationally denominated paper derivatives, including very large benchmark commodities markets and their various derivatives, such as Brent Crude and the Gold and Silver Fixing benchmarks … oh, and let’s not forget that the Lloyds Insurance syndicates in London basically dominate all world insurance/reinsurance etc… and LIBOR … and I could go on and on. It is specifically the battle between the EU and the City of London over Euro-denominated Derivatives and other paper which brought Brussels into conflict with Westminster over financial regulation, which is ACTUALLY what led to David Cameron agreeing to hold a BREXIT referendum. London may have critical control over most internationally traded USD-denominated Derivatives contracts and other flows, but the European Union has always resisted the un-regulated nature of London’s financial inertia black-hole, and as much as I despise the European Union politically, I would have to agree with their criticism of London’s full blown financial neo-liberalism; especially after massive scandals such as the LIBOR fixing have come to light. Most people just do not understand the legacy power that resides in London, allowing themselves to be blinded by the sheer size of the US Equity Markets even though they involve largely domestic churn — but don’t get me wrong, New York City is very important, which is why the British offshore financial powers that use London as their world portal, setup the Federal Reserve Bank in 1913 to act as their #1 fiat factory to replace the Pound Sterling issuance ability of their ailing overseas Imperial possessions, which were outliving their ability to produce more international trade inertia as the colonial era fell out of fashion politically. Remember, everyone calls the Wall Street Crash of October 24th 1929 the cause of the Great Depression, because they are blinded by US economic size, but how many people realize that the crash actually started in London in September of the same year, causing a retraction of British capital from the American markets that then caused a contagion crashing the larger equity bubbles that had built up on the New York Stock Exchange? 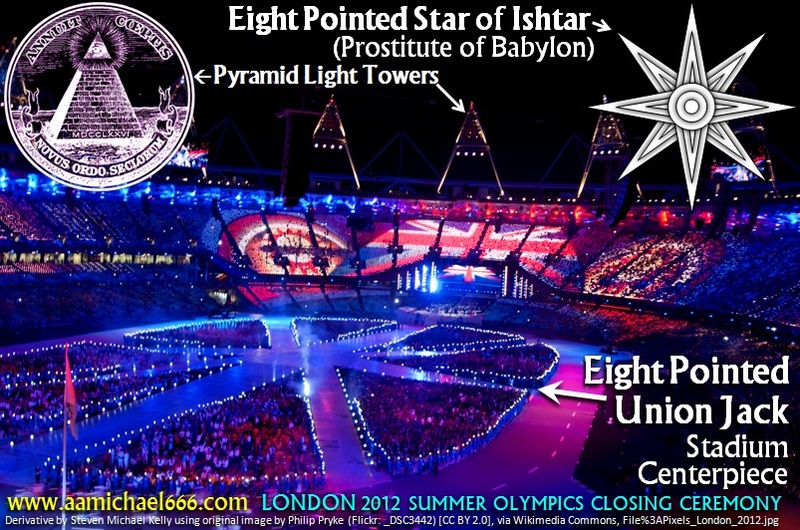 That’s right … everyone is blinded by the torch born by that big female idol in New York Harbor, rather than looking for the CAUSE of events in London, instead focusing on the more visible EFFECTS that take place in the ‘big smoke’. NOTE: Ariana is the Latinized form of the Greek Ariadne. Ariana, as a word, descends from the Indo-European root Arian, being a femine form. As Arian means ‘pure’ in Indo-European, the feminized form is related to the purity of a primal goddess, and since the Aryans anciently worshipped fire, we can see where the Roman goddess of domestic ancestral fire Vesta, and likewise the parallel Greek goddess Hesta, could be granted the epithet of Ariana: the pure one. However, we have an inversion in Ariana Grande and many of her compatriots such as Madonna and Katy Perry, because she is acting out a virgin turned prostitute, just as the juxtaposition of Mary mother of Jesus, and Babylon the Great, Mother of Harlots (from the Book of Revelation), refer to polar opposite modalities of civilization. This is a reoccurring theme in the Judeo-Christian faith, but also in many other ancient religions such as the original Roman practice of consecrated Vestal Virgins who had to remain virgins for the State for at least 30 years or to suffer punishment of death by live burial. Incidentally, as a side note, the head of the Statue of Liberty, was originally assembled and displayed at the 1878 Paris World’s Fair, which opened May 1st (birthday of the Bavarian Order of the Illuminati, and likewise the international day of Communism/Labor), before being disassembled and shipped to New York Harbor to be placed on her pedestal/ziggurat of masonry. The statue was a gift of the French people to the people of the United States, to represent their shared passion for deposing monarchs, though the French don’t seem to have been able to make up their minds whether they wanted a monarch or not, whereas the Americans don’t have any say in the matter because their banking system is controlled by offshore Crown interests anyway, allowing the “Don’t Tread On Me” pretence to be blissfully continued. Numbers are important in the occult, so to this day, from the pavement level to the tip of the flame of lady ‘liberty’, is a total measure of 93 meters, the number of Agape/Love (lust and symbolic or literal prostitution is another interpretation); the meter being the base unit of the French metric system, devised in Paris, that has replaced the ancient Anglo-Saxon/British Imperial System of units such as the Yard. INTERLUDE: How many people know that on September 11th 1776, at Conference House on Staten Island, after the massive British fleet had arrived in the harbor to begin the war in earnest by reclaiming New York City as a HQ to operate their retaliation campaign from, and after the Battle of Long Island (largest battle of entire war by troop deployment … ‘shock and awe’), that three famous revolutionaries — John Adams, Edward Rutledge, and Benjamin Franklin – met with Lord Richard Howe, commander of the British forces, to hear the last offer of terms to re-heal the breach initiated by the Declaration of Independence proclaimed on the previous July 4th? How many people realize that the terms of the peace were that all charges of treason would be dropped, and all sins pardoned? How many people know that this was the last such opportunity offered, and that after this date, if the deal was rejected, Howe had orders to ruthlessly punish the colonies? How many people know that the key to the English plans was to retake New York City as a HQ, so they could operate from the safety of Manhattan Island whilst their superior naval power and prison ships could operate in the harbor? How many people know that the first two British ships from the fleet to penetrate up the Hudson River (July 12th) to test the American onshore artillery capability (which was pathetic and made the British seaman laugh in ridicule), was the Phoenix of 44 guns, and the Rose of 28 guns, which went up to Tarrytown and back without even coming close to being hit by the untrained American artillery recruits? How many people know that the next day on September 12th, Washington made the decision to abandon Manhattan Island, maintaining only Fort Washington for reasons of strategic withdrawal? How many people know that Washington was advised by the likes of John Jay and many others, to burn the city down before leaving, and that one officer exclaimed upon retreat “That cursed town from first to last has been ruinous to the common cause” (perhaps in prophetic anticipation of the future Federal Reserve System)? Better still, how many people would care? … or how many would find the esoteric aspects of history — which always repeats — interesting enough to bother pondering whether other people, powerful people, who do care, think heavily on such matters? Not many I have found. Perhaps we’re so thin the chances of running into each other are worse than winning a lottery jackpot. NOTE: The first — and next — concert which was to be performed, was to occur in London, and would have occurred 111 days after the first concert of the tour, which was held in Phoenix, Arizona. 111 is a pivotal number in Thelema, representing the gematria of the two fundamental Aleph/s, of which there are two in opposition to each other; each representing the entry pillars to Solomon’s Temple. Thus, Aleister Crowley named his pseudo-masonic cult the A∴A∴ (Argentum Astrum; Latin for Silver Star). It is no coincidence that a person standing on the roof tops of the old Twin Towers in New York City — which each had officially 110 architectural floors — would have been standing on the esoteric 111th level, with the heavens directly above, looking down into the Kabbalistic Abyss between the 111+111 temple pillars of A∴A∴. NOTE: The Manchester bombing also occurred 333 days after the 2016 BREXIT Referendum, which is very important to the Phoenix/Whore of Babylon ritual being performed: The Whore/Financial City centre of Europe is getting a divorce from the Beast/EU; a resurrected Roman Empire. 333 is the special number of Choronzon/Chaos, the beast from the Kabbalistic Abyss in Thelema; Aleister Crowley’s satanic religion that many elites have adopted, which, for instance, Stanley Kubrick alluded to in his 1999 movie Eyes Wide Shut (‘sacred’ redemption-by-prostitute/scarlet woman A∴A∴ rites). It is no coincidence that the 2016 BREXIT Referendum occurred in the 44th year of Great Britain’s membership in the European Project, which began on January 1st 1973 when they officially entered the creeping legislative prison of the European Communities (known as the “Common Market”). Thus, in year number 44, the financial hub of the European Union (and the world to be precise), which is built around the originally Roman City of Londinium, filed for divorce from the greater Empire (a healed Beast of the continental and greater Mediterranean powers representing the original stomping ground of the Roman, then Holy Roman, Empires, which is now simply a Fourth Reich which Adolph Hitler and Napoleon would be envious of). NOTE: The Manchester bombing — which was probably just a warm-up and an esoteric conditioning procedure to set the stage for a much larger geo-political narrative — occurred 365 days exactly after Ariana Grande announced the Dangerous Woman Tour on May 23rd 2016. 365 days is the period of the SOLAR YEAR, which is the death-rebirth FIRE cycle of the Sun; thus, analogical to Phoenix symbolism. The London concert was cancelled, and the next official performance on the Dangerous Woman Tour was announced as the planned concert at the AccorHotels Arena in Paris, France, on June 7th 2017, which will make Paris the 44th replacement city of the tour in place of London; as if they have been esoterically substituted. Is it a coincidence, then, that June 7th 2017 just happens to be exactly 365 days since Ariana Grande performed a special private concert for 250 competition ticket winners (1 companion per ticket also), at the Le Trianon, in Paris, on June 8th 2017, in which she performed the highlight song Dangerous Woman for the first time in Paris (the single of “Dangerous Woman” was released on March 11th 2016). The first song in that concert set was “One Last Time”, and the last song in the set, crowning the event, was “Dangerous Woman”, for a total of 10 songs; incidentally the number of degrees in an A∴A∴ Kabbalah ladder. Grande is also known for being a practitioner of, and for wearing the scarlet cord (red seven knotted bracelet) of, Kabbalah; which almost every performer in Hollywood and the Anglo-American entertainment business in general who likes the patronage of Jewish money and work contracts, immerses themselves in as an entryway through the gates of Babylon, to sell themselves as slaves to a peculiar system of degenerate material worship. BELOW: Elizabeth I, the “Phoenix” portrait, oil on panel; 78.8 x 61 cm (31 x 24 in). On display at Tate Britain (London), lent by the National Portrait Gallery, L00128, circa 1575-76, attributed to Nicholas Hilliard (1547–1619). “And I heard another voice from heaven, saying, Come out of her, my people, that ye be not partakers of her sins, and that ye receive not of her plagues. For her sins have reached unto heaven, and God hath remembered her iniquities. Reward her even as she rewarded you, and double unto her double according to her works: in the cup which she hath filled fill to her double. How much she hath glorified herself, and lived deliciously, so much torment and sorrow give her: for she saith in her heart, I sit a queen, and am no widow, and shall see no sorrow. Therefore shall her plagues come in one day, death, and mourning, and famine; and she shall be utterly burned with fire: for strong is the Lord God who judgeth her. And the kings of the earth, who have committed fornication and lived deliciously with her, shall bewail her, and lament for her, when they shall see the smoke of her burning, Standing afar off for the fear of her torment, saying, Alas, alas, that great city Babylon, that mighty city! for in one hour is thy judgment come. And the merchants of the earth shall weep and mourn over her; for no man buyeth their merchandise any more.” – Revelation 18:4-11, regarding the judgement of the end-times city known as the Whore of Babylon. A massive fire ritual at the 2012 Summer Olympics Closing Ceremony. The use of repdigits such as 111, 11, 22, 33, 44, 666, 666666, 777, or 7777, is extremely common in occult ritual, because repetition is a sacred way of compounding the symbolic meaning of an underlying numerical signature. Numbers are a universal language which defies the usual boundaries of human communication. This is a form of occult semiotics used to communicate intent and meaning, but only for those people who are looking for it. For everyone else, it just looks coincidental, and for schizophrenics, it appears as many times per day as they want it to, due to a lack of filtration and scepticism. There is a fine line between being and adept or a cunning occult genius, and total insanity. I’m still trying to work out which one applies best for Aleister Crowley, but it may just be that both cases apply. We should never confuse deeply intelligent evil with insanity, however, because to do so is to turn our civilizational backs on the greatest enemy of true Order — temporal and divine. Here be serpents … watch where you step, and keep your eyes open. But what does world trade and finance have to do with terrorism? Well, that’s a very big question, with an elaborate wide ranging answer, but the short answer is … EVERYTHING! All power grows out of the barrel of a gun; the governments guns, and it’s better if they’re pointing it at a mass of disarmed cattle trapped in a national security and surveillance state. Also, central banking is built on warfare. Cassus belli are the bedrock of foreign policy manipulations perpetrated by financial syndicates preying on sovereign states. Bond salesmen need debt creation in order to keep the global plantation profitable, and private Military Industrial Complex actors don’t sell baked beans, they sell weapons, for wars, for profit. No wars, no profits. Who owns these large ‘defence’ corporations? Financial syndicates do. Most of whom are a rentier class of parasites. So, England has had many problems with Republican movements in former colonies, as if the children had rejected their own mother, but in the case of Ireland, it was well populated when the Normans began the colonization in the 11th century begun by William the Conqueror. Here, on this esoteric/Masonic map, the organizers of the 2012 London Olympics theatrical events chose to represent the site of a veritable Island in the midst of the Thames, known as the Isle of Dogs, which was actually where the expanded West India Docks were constructed. On and around this island, just downstream from Tower Bridge, the major dockyards of the Empire were built, and just south of this in Greenwich, the Palace of Greenwich was converted into a Maritime Headquarters that served the British Admiralty. A big part of running an empire is the technology of mapping, thus astronomy, and timekeeping, which is why the Greenwich Observatory marks the Meridian, which used to run directly through the Isle of Dogs, but has drifted east slightly over the years to run through the Greenwich Peninsula, which is now where the O2 Arena is situated. The most recent Republican movement that England has had to grapple with, was the Provisional Irish Republican Army (IRA), who utilized methods of economic terrorism (usually attempting to avoid human casualties by giving adequate evacuation warnings) designed to cripple and punish the British economy until they received what they were asking for. The fact that the organizers of this event chose the location of the destroyed London World Trade Center though, which was paralleled by that other major complex in New York City (the first and most formidable Republican Movement they ever dealt with), just goes to show that some people, high up in the hidden halls of real London power structures, is semiotically communicating something very deep, esoteric, and profound about a great Phoenix event which is about to come to a climax: In my opinion, this is the REBIRTH – like the Phoenix fire bird – of the British Empire, which has now indicated its desire to break politically from the European Continent, which was first collected back together into the Holy Roman Empire by Charlemagne, the main progenitor of ALL the royal bloodlines through intermarriage bargaining. Meaning, that the year in which Halley’s Comet flew by in 1066 AD, when three Kings reigned in England — St. Edward the Confessor, Harold Godwinson, and William the Conqueror — and when the continental feudal system entered the British Isles, an echo is being manifest into present world events. As such, this seems to have happened like a heartbeat every 1000 years, starting with the Romans around the time of Christ, then the Normans in 1066, and now the European Union which is expanding more cunningly and incremental than Napoleon or Hitler could ever have devised. Dual Reigning Monarch’s count as a single Sovereign reign because the marriage acts as a single authoritative unit, as in the unique two cases of the vehemently Catholic Mary I and Philip of Spain, and also the vehemently Protestant Mary II and William III of Orange; coincidently only the two Mary’s who were polar opposites of each other religiously, representing the two main church streams that emerged from the symbol of the Virgin Mary, who represents the Church giving birth to the Word of God. Thus, the fact that Queen Elizabeth is the 44th Monarch/Dual Reign since the Crown of St Edward was setup, and since Westminster Abbey was established as the official coronation venue and royal necropolis, the above facts seem to indicate to me that a momentous world changing Phoenix event involving a series of highly occult and calculated false-flag terror attacks, is being executed since at least 2001. The following contains some good information for those who like details. PLEASE NOTE: Queen Elizabeth is the 44th Monarch, of 11 Agnatic (male) bloodlines to occupy the Throne, and is the 22nd Supreme Governor of the Anglican Church since Henry VIII (Mary I was still the head of the Anglican Church at her accession before she was able to re-establish links with Rome, because it took her a while to get the legislation approved and passed Parliament). Also, if you attempt to find the least amount of genealogical generations in Queen Elizabeth II’s bloodlines, back to Charles Martel, you will find that it is 44 generations, through William the Conqueror’s wife Matilda; though QEII is related to Charlemagne and Martel by literally hundreds of separate routes. Additionally, from 1066, when the crown fell from St Edward’s head, to 1954 when QEII was coronated, there was exactly 888 regnal years, which is the special number gematria for the name of Jesus in Greek: Jesus (Ιησουϛ) = 888. Those darn rep-digits are everywhere! … If you look for them, of course. Remember, The O2 Dangerous Woman concert on May 25th 2017, was to be exactly 7777 days since the Docklands Bombing terror attack indicated esoterically on the 2012 London Olympics floor map, on which a Phoenix-44 Whore of Babylon Ritual Mass was performed for the world to watch. Thus, the fact that Paris has become the new 44th city, seems to indicate that a substitution ritual is being performed to swap London from destruction with the continental powers historically anchored in the rival French Monarchy, which finally beat the Angevin King’s of England out of their vast continental possessions, leaving them insulated in the British Isles. Also, this Paris concert just happens to occur exactly 1776 days since the London Olympics Opening Ceremony was begun by the ringing of the worlds largest harmonically tuned and forged ritual Bell (the Tempest Bell, of Shakespeare’s Caliban, who was the son of the island witch). This is significant because a ritual bell is the main implement used in Aleister Crowley’s LIBER 44 Mass of the Phoenix, which needs to be rung 44 times during the ceremony in four separate sets of a 333—55555—333 sequence. The Tempest Bell was continually rung throughout the Opening Ceremony. This post will be updated with further facts, commentary, and updates as time progresses; especially if the terror attack in Paris occurs on June 7th 2017, in the 44th city of the Dangerous Woman tour, just as I predicted regarding the London O2 concert before it was cancelled so that Paris could be substituted esoterically. As usual, let’s hope it doesn’t happen though. Just an update. Thankfully the concert went off without a hitch, despite the fact that the people in France seem to be totally cool with the fact that dozens and dozens of flak vested police and military guarding every large event armed with assault rifles, isn’t reminiscent of the Third Reich Germany and Vichy France … for everyone’s ‘protection’, of course. Normalizing a police state all seems part and parcel of prepping the social system for the imposition of a cashless society and human management plantation, which will no doubt ensue during the next inevitable economic crash. It would seem that the Manchester concert represented the DEATH of the Phoenix, and that the 44th city of Paris concert represented the REBIRTH of the Phoenix, with the esoteric connection made with Westminster Abbey and 1066 Hastings being a definite but subtle symbolic implant, made less obvious (and plausibly deniable), due to the fact that the second bloodless event was unremarkable from a dramatic perspective. I will endeavor to document this definite Phoenix ritual in a more cohesive and succinct post within a few weeks.